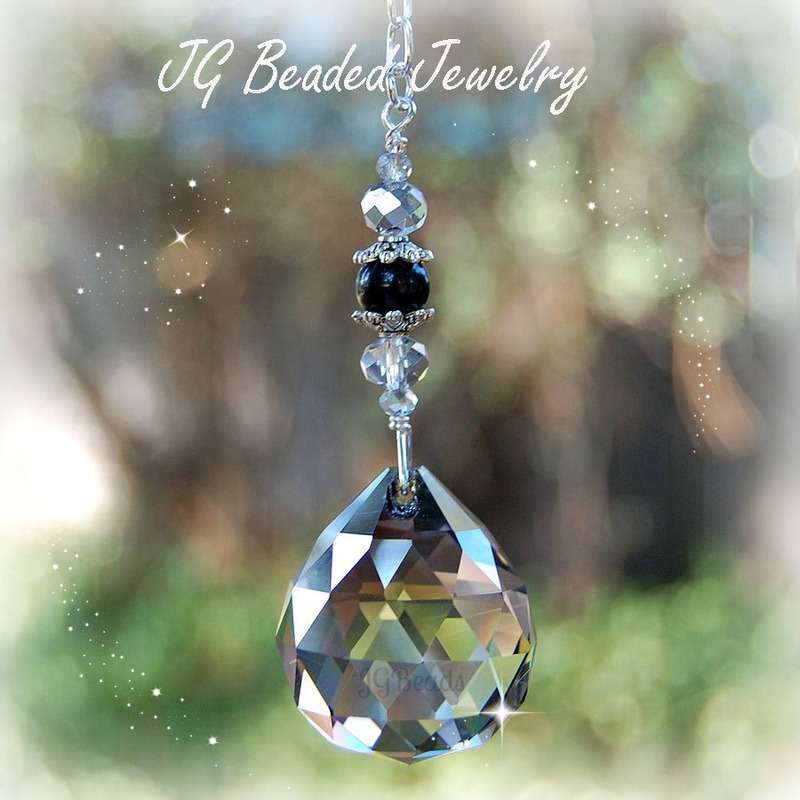 This silver shade hanging crystal is designed with a stunning 30mm smoky silver shade prism crystal which is wire wrapped by hand with a black onyx gemstone, fancy silver bead caps and silver shade faceted crystal beads. The silver shade prism will throw off magnificent and vibrant rainbows when in direct sunlight! This silver shade hanging crystal is made with care by hand and comes with guaranteed quality craftsmanship. 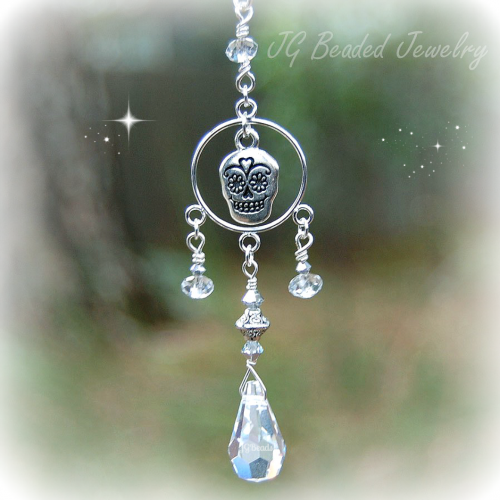 You may also like the Silver Shade and Amethyst Hanging Crystal! ♥ Sending it as a gift and wish to include a personal message? Leave a message during checkout and I will take care of the rest! 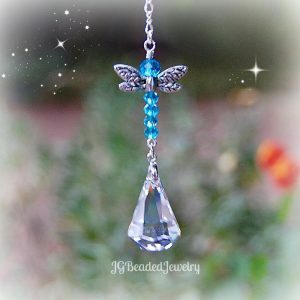 ♥ Offering unique and individually handcrafted Light/Fan Pulls, Rearview Mirror Decorations, and Crystal Suncatchers! 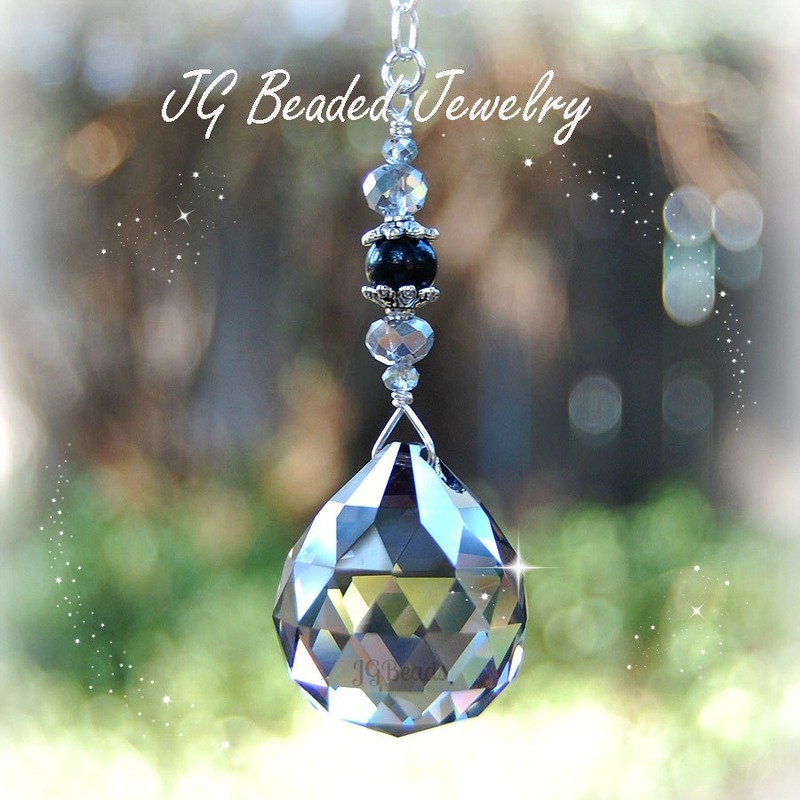 ♥ Visit JG Beaded Jewelry on Facebook for new items, special offers and giveaways!